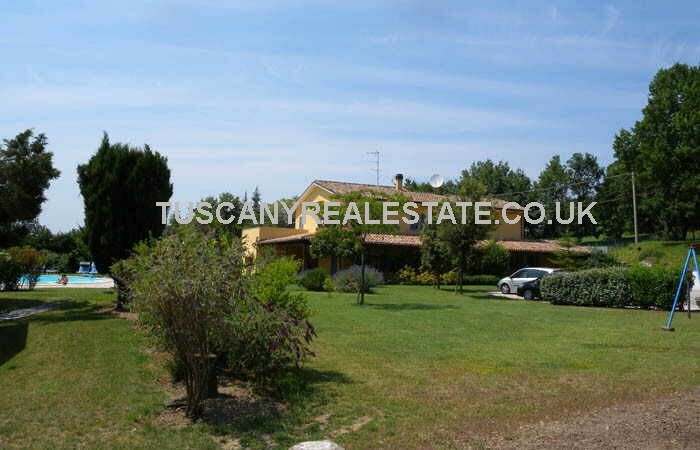 Vineyard for sale Le Marche. Lovely change of lifestyle property. 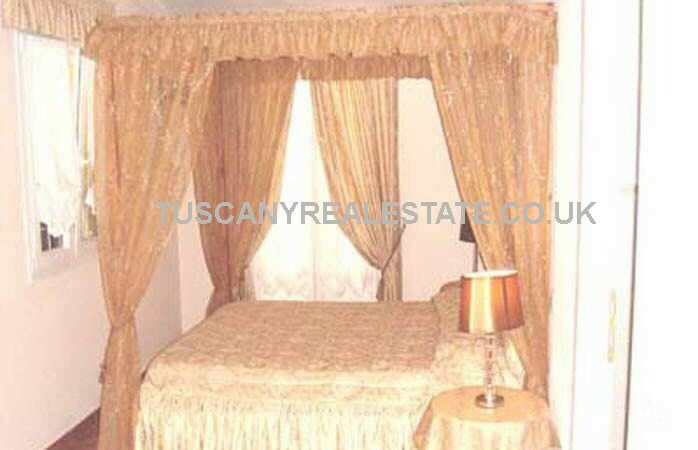 12 Bedrooms Complex just a few km from the seaside, with beautiful panoramic views and exposed to the sun for the whole day. 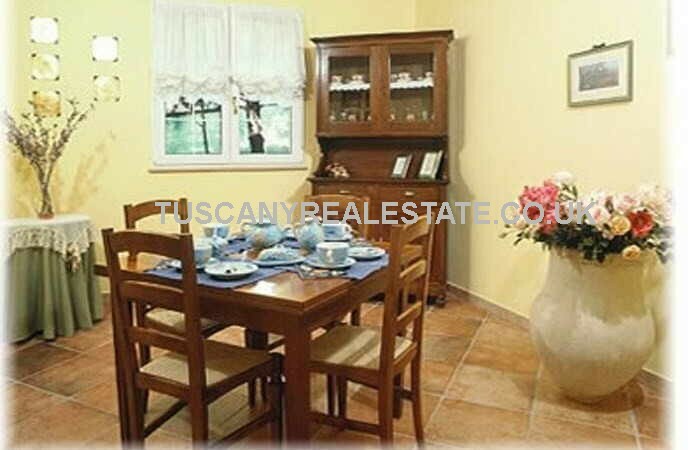 Restored farmhouse with independent annex, large and very well maintained Italian garden, pool 14 x 8 metres with Jacuzzi, paved solarium. 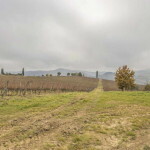 The property is completely fenced and comprises 12 hectares of land with 4 hectares of vineyard (Sangiovese and Montepulciano DOC), 1 hectare of olive grove (500 trees). 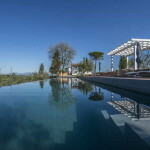 This Le Marche property enjoys a superb view of Montefiore, Tavullia and San Marino. The main house is disposed on two levels. On the ground floor there is a wide dining room, living room with old stone fireplace, library, private office, wide built-in kitchen, storage room, pantry and bathroom. Small apartment with laundry, bedroom, bathroom and sitting room. All the rooms on the ground floor have direct access to the garden through door windows. 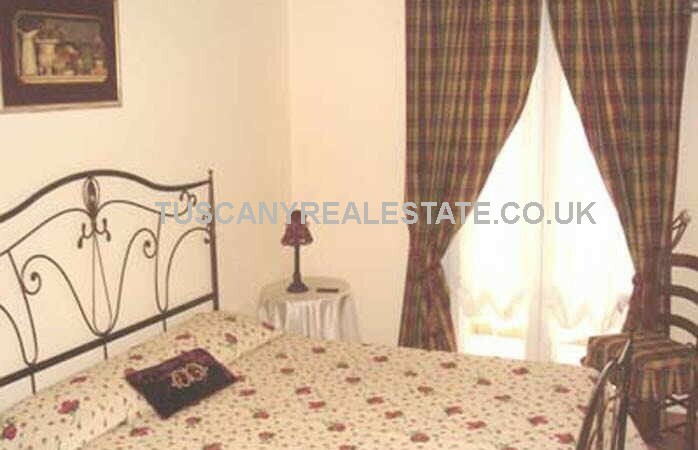 On the first floor, reachable through an internal staircase, we find six bedroom with en suite bathroom and tv. The annex includes four bedrooms with en suite bathroom and a storage room. In the room on the lower ground floor there is the technical room, a cantina and the garage. 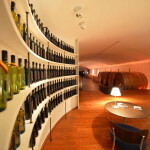 The property is completely fenced and comprises 12 hectares of land with 4 hectares of vineyard (Sangiovese and Montepulciano DOC), 1 hectare of olive grove (500 trees). 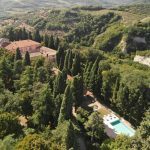 At 3 km from the property there is the Castle of Gradara and slightly further, the Repubblica of San Marino as well as the airport of Rimini (22km), the Grotte di Frasassi, Urbino, San Leo, Montegridolfo, Assisi, Gubbio. Other close international airports are Bologna (142 km), Forlì (76 km) and Ancona (70 km). 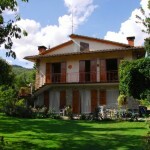 TYPE Farmhouse with annex, vineyard, pool and land. LOCATION Hilly and panoramic position. 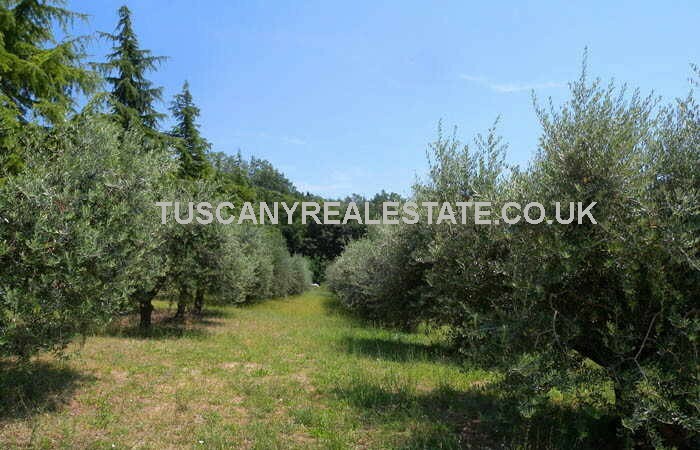 LAND 12 hectares with olive grove and vineyard. ANNEX Yes, annex of 260 square metres. ACCESS Private asphalted road with large parking area. POOL Yes, 14 x 8 metres with Jacuzzi. WATER Mains water + private well. HEATING Under floor heating + solar panels to produce hot water. 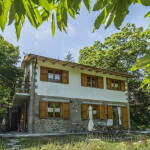 Gradara (3km; 9’); Gabicce Mare (10km; 20’); Misano Adriatico (13km; 15’); Pesaro (15km; 26’); Riccione (19km;28’); Rimini (29km; 34’); Fano (32km; 38’). 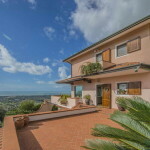 Rimini Miramare (22km; 32’); Ancona Falconara (70 km;52’); Forlì (76 km;1 h 2’); Bologna G Marconi (142 km;1 h 34’);Perugia Sant’Egidio (142 km;2 h 19’); Firenze Peretola (240 km; 2h 27’); Pisa Galilei (326km; 3h 8’); Roma Ciampino (380 km;3 h 36’); Roma Fiumicino (410 km;3 h 58’).